I have finally caught up with the monthly favourites posts! Success! 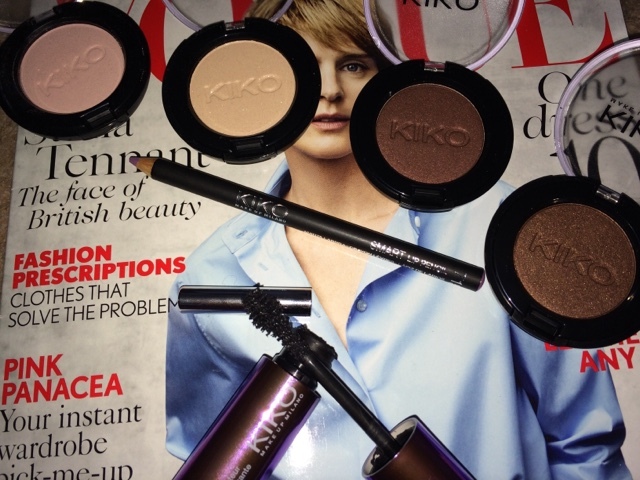 So I though that I will share my new found love for the make-up brand Kiko. They have opened up a new store recently in Nottingham and I've only been there twice, however I couldn't resist picking up a few bits and bobs. I have picked up 4 eye shadows in colours l-r 140, 129, 133 and 132, a mascara top coat for fuller looking lashes and a lip liner in shade 710 which is a perfect match for my Up The Amp lipstick by MAC. The shadows are amazing and work wonders on my eyes if used with a primer (I use the primer potion from Urban Decay). 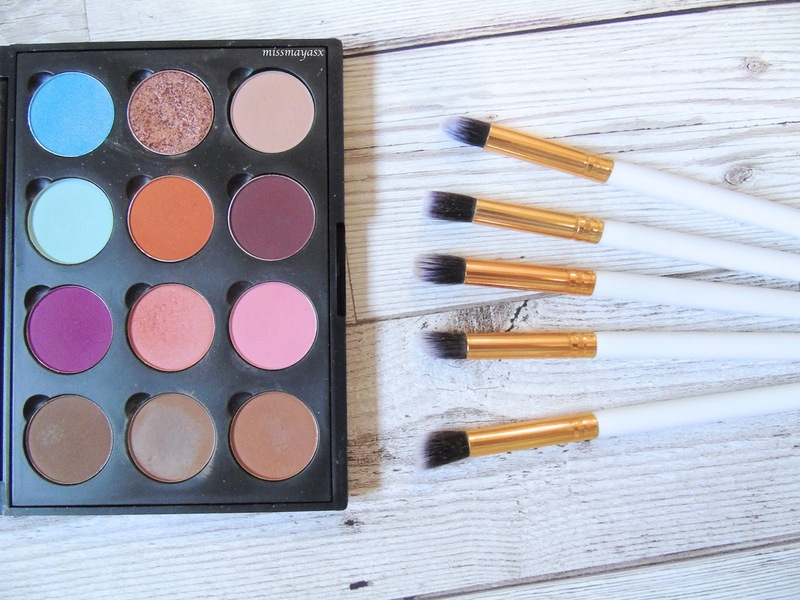 They are very pigmented and easy to blend. I recommend them to all my readers! 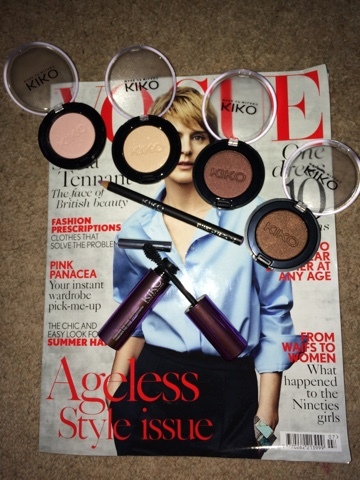 Watch out for future FOTD posts as I will be using Kiko's products!